Combining the two equations we have (h - r)2 = r2 + (w - (w2 - h2)1/2)2. By insetting r = 9/2 and h = 12 I used WolframAlpha to calculate the wide to be exact 15 cm. 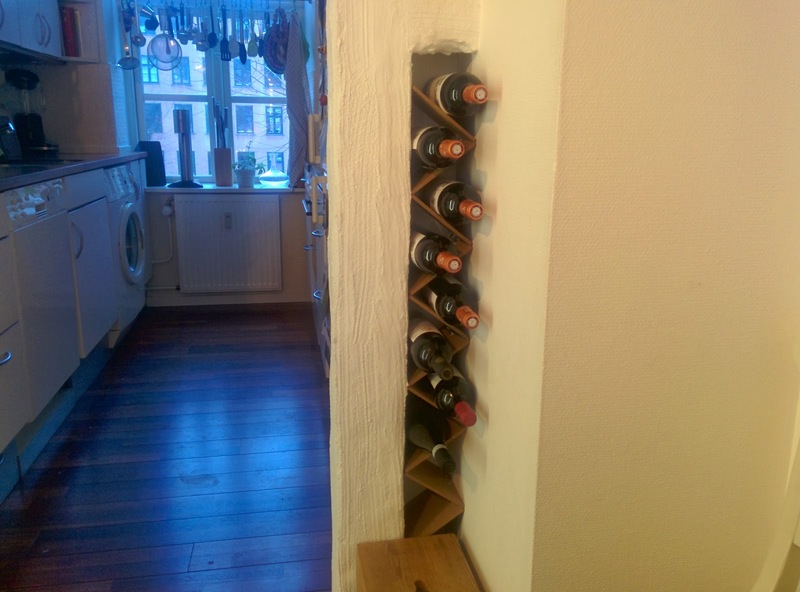 The only thing left to do is to buy the material and make the actually wine rack.